"I was working in a music shop in Leicester demonstrating keyboards," says David Wise, who served as Rare's sole in-house musician between the years of 1985 and 1994 and only recently parted company with the firm in 2009. "I used to play cover versions, but it was mostly my own music. One day, two guys came in and asked who wrote this music, and I said that I did. They turned to each other and asked if there was an office we could go to for a chat, and I assumed I'd made another sale. We went upstairs and they offered me a job. The two men were Chris and Tim." Wise would work on Rare's first NES title, Slalom, as well as countless other NES, SNES and Game Boy releases. However, arguably his most famous work is the captivating and amazingly diverse soundtrack for Donkey Kong Country. "I did some work on Killer Instinct 2 on the SNES. The guy in charge of that project left the company when it was 99 percent finished, and they asked me to finish it — a game I'd never even seen or played before — in six weeks. That was an interesting job. We got it finished — a little bit late, actually — but it was all for nothing. We were under contract with Nintendo and simply had to get it done, but they ultimately decided not to publish it." Play Hard, PLAY LOUD! ULTRA-ULTRA-ULTRA!!! 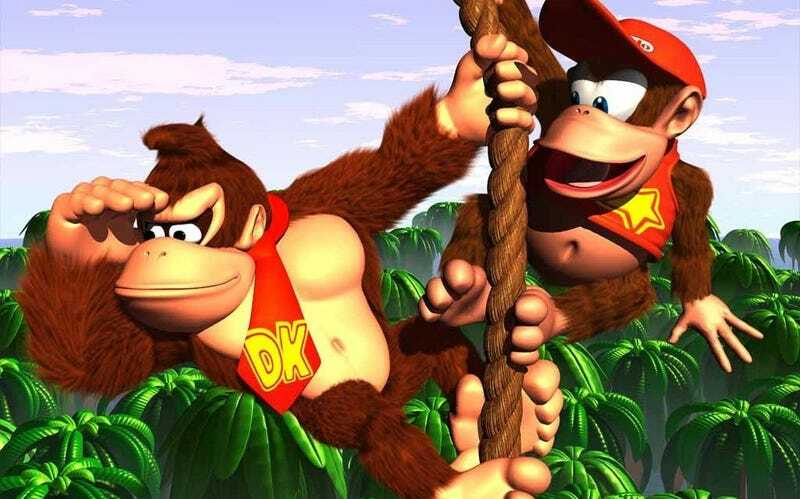 Omake: Whatever happened to Donkey Kong Racing?